High Voltage in Our Mood in 25 and 26 January 2016! 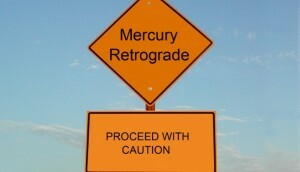 We are still in retrograde Mercury and the most difficult days are forthcoming. It is necessary to keep our calmness. Mercury started going into a retrograde motion on 05.01.2016 and will enter into the normal course on 26.01. The last days are especially critical, because its impact will be reinforced by the phenomenon “Moon without a Course”. This term correlates with the time when the Moon has no active interaction with the other planets. Then its impact is very weak and ineffective, although sometimes exactly Moon without a course leads to paradoxes and anomalies in our lives, provokes unexpected and unpredictable events. Creates chaos in communications. Can not find people who you are looking for, dial a number by mistake, you lose your phone (forget it). Mail (nowadays – mostly email) Lose you letters. Send letters without your name. Mail is filled with spam (more than usual). Forget the password for your email. Difficulties in transportation – congestion is more than usual, buses and trains are late, you may have problems with the personal car. Lose (forget) the keys (documents, chemicals, etc.). If you need to write documents or other text – you make more typos than usual. If you work with computers – loss (deletion) of information. Back up or make a record of files more often. Find (random) old files containing valuable information for you. 7.Internet – disconnected more often than usual, some pages load slower, more difficult to find what you need in GOOGLE. Look inward, review the past months. Were you able to implement everything which you had planned? If there are things that you forget – now is the time to catch up and to realize them. Do not make new plans. Do not make major purchases of goods (mainly computers, phones, appliances, car) because it may be a hidden defect. Do not start a new job in this period, do not sign important documents, check what you write several times. 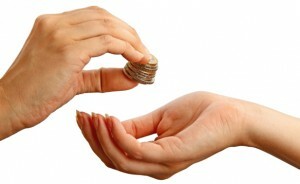 Retrograde Mercury with moon without a course is a great time for a charity. This action could make their influence negligible. Every act of kindness gracing the influence of celestial bodies and causes itself more positive emotions. Don’t forget to stay positive in this very important 2 days, use the love, that your pets give to you, or if you don’t have such a pet, spend more time with your favorite activities.